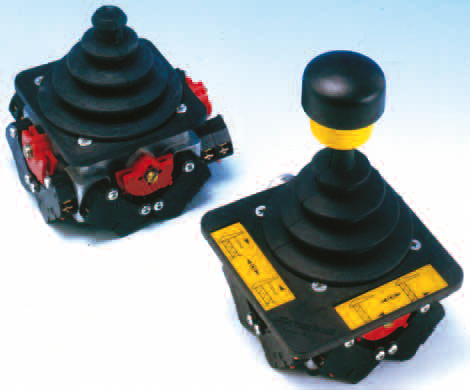 Joystick controllers series COMPACT – Ravioli S.p.A.
MW and MC joysticks are suitable to control various industrial machinery, through auxiliary devices and contactors. Special handiness and mechanical durability make the product suitable for heavy applications and hard working conditions. 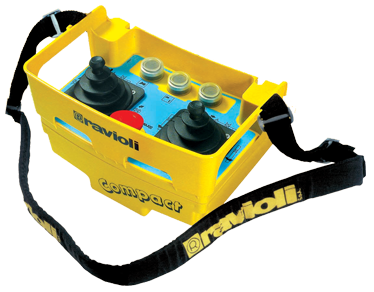 They can be mounted in the Compact case, which is also equipped with emergency stop, optional buttons and safety belt. 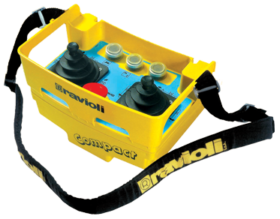 They are specifically suitable for lifting and handling machinery like cranes, hoists and aerial platforms.